Catalog is a list of descriptive information of items. It is the brilliant display of illustrations regarding specific products like offering course, articles for sale, specification of machineries and other product details. It is very effective marketing tool which is capable to reach the every nooks and corner of the place of targeted audience. So, good conceptualized and designed catalog reflects the brand image of an organization. It must be distinct in concept and must display the proper information with unique and stylish manner. Our team of experienced designer is capable to create unique and eye catching catalog to meet all requirements of clients. 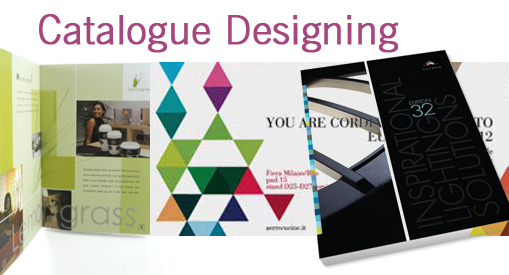 Our catalog design services provide exclusive solution with effective layouts and brilliant integration of images. Catalog is very efficient and handy off line marketing tool which may fulfill all requirements of the customer. Well designed catalog possess the ability to bring forth the trade and create the perfect identity of an organization providing overall ideas about products and services.